Schuco Piccolo Mercedes Benz 170V Van Handwerkerhof in Tin Box. 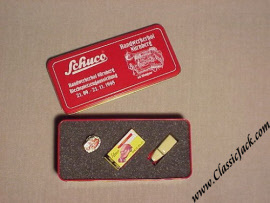 Issued in September 1998, it was to commemorate a tin-toy exhibition at Nuremberg's (Schuco home town!) "Handwerkerhof". 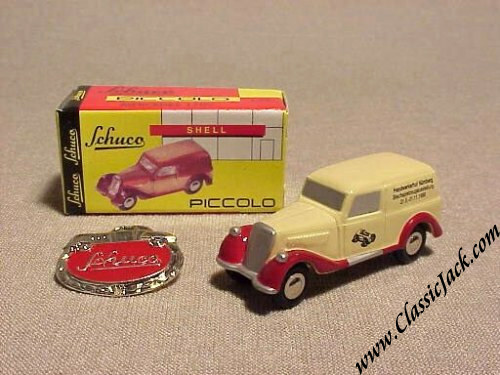 It comes in a beautifully crafted, embossed, tin box which contains the special Mercedes 170V with special print, the box of the model and a Schuco pin.